‘A certain group’ appears to be turning out in big numbers in several key states. Hispanic voters could be poised to deliver a historic rebuke to Donald Trump and the Republican Party. Early-vote statistics from battleground states with large Hispanic populations show record turnout among a bloc that has voted at a lower rate than whites or blacks in past elections. If, as some polls suggest, Hispanic voters are supporting Hillary Clinton by blowout margins, these numbers could sink Trump in a handful of states that are essential to his path to 270 electoral votes. In Nevada, Latino turnout propelled Democrats in Clark County — the population center that’s home to Las Vegas — to a record-breaking close on Friday, driving up the Democratic lead in early ballots cast to 72,000. That’s enough, according to veteran Nevada political analyst Jon Ralston, to essentially tie a bow on the state for Clinton. Four years earlier, when Obama won the state by seven points, Democrats led Clark County in ballots cast by 71,000 at the end of early voting in 2012. 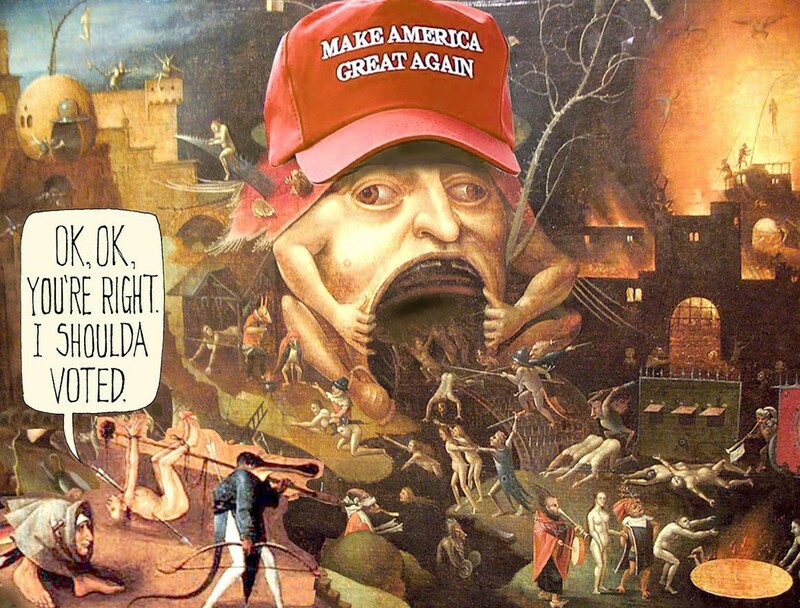 “Folks, it’s a rigged system. It’s a rigged system. And we’re going to beat it,” he said. In Florida, which tracks turnout by race and ethnicity, Hispanics have so far cast about 14 percent of the 5.7 million early and absentee ballots cast. That puts Hispanics far ahead of where they were in casting early ballots relative to 2012. That follows Florida Democratic strategist Steve Schale’s analysis, which notes that through Wednesday alone, Hispanic turnout in 2016 had already exceeded — by 170,000 ballots — Hispanic early voting in the entire 2012 cycle. And Schale noted that many of them are first-time voters, who Democrats see as crucial targets in the early-voting period. 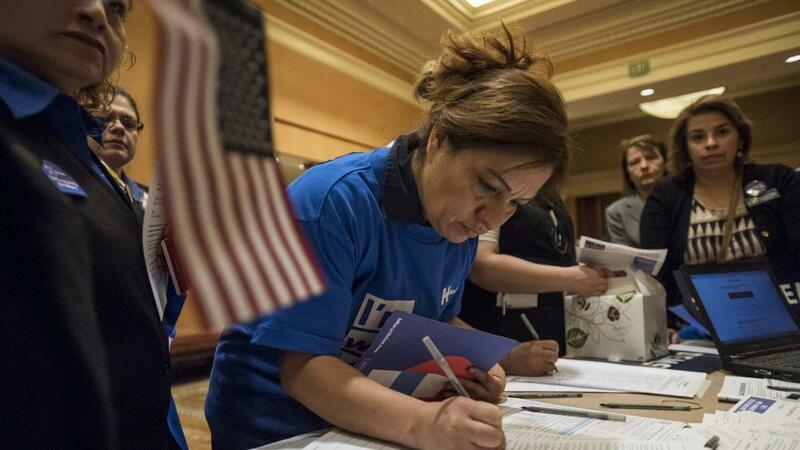 Similar signs suggest Democrats are seeing robust Hispanic turnout in Arizona as well. 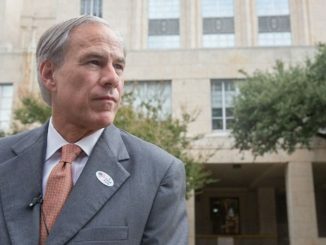 And even Texas, considered out of reach for Democrats, is seeing a surge across the state’s most populous counties. Those numbers varied by state. In Florida, Hispanic turnout was actually a point higher than turnout overall. But in Nevada, Latino turnout lagged the overall turnout rate by 6 points, and in Colorado, Hispanics were around 18 points lower than overall turnout. These turnout rates are why the Hispanic vote is frequently described as a “sleeping giant” — a giant that Clinton’s campaign and the Democrats are trying to awaken by highlighting Trump’s immigration policies and inflammatory statements about Mexicans in the hopes of driving higher turnout than in past election years. For Republicans, a landslide defeat among Hispanics would serve as a repudiation of the party’s efforts to improve its performance among those voters in the wake of Mitt Romney’s resounding defeat among this growing cohort four years ago. Still, there are meaningful reasons to believe many public polls aren’t capturing the Hispanic vote accurately. The national polling of Hispanics is erratic, with some polls suggesting that Trump is holding his own among Latino voters, and others portending a wave of Hispanics looming to defeat Trump and haunt the GOP for elections to come. Latinos are much harder to reach than any other racial or ethnic group that makes up a significant share of the electorate, which makes them a challenge for pollsters. And with the landscape flooded by cheaper, lower-quality polls, the risk that pollsters are missing large numbers of Hispanic voters — or that the Latinos they are reaching are not fully representative — is substantial. And if Trump’s candidacy leads to a spike in Latino turnout, will the polls capture it? How accurately are the portraying Hispanics and their vote-intentions going into Election Day? The current range of the Hispanic vote breakdown in national polls underscores the difficulty in capturing the right mix of Latino voters. Clinton’s leads in national polls among Hispanics range from just 15 points — which would represent a dramatic improvement over 2012, when exit polls suggested Obama won Hispanics 71 percent to 27 percent — to a 55-point lead in one poll that would represent a historic margin. Variances between polls among such a small subgroup are common; Hispanics are expected to make up, at most, one-in-10 voters nationally. 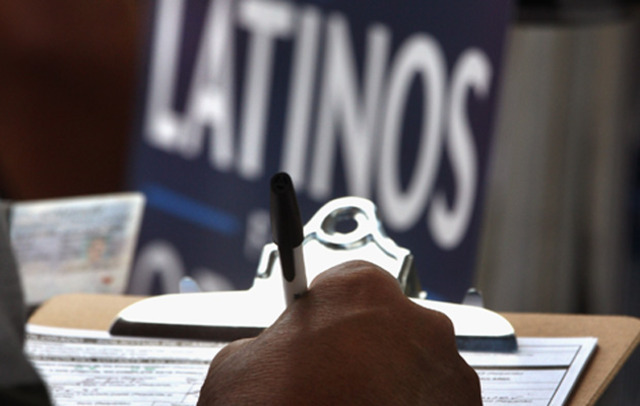 But the wide disparity in these polls also reflects particular challenges in polling Latinos. Hispanics are far more likely not to have landline phones than whites and blacks. According to the most recent data from the National Center for Health Statistics — the branch of the Center for Disease Control and Prevention that tracks this data – more than 60 percent of Hispanic adults in the U.S. live in households with only a wireless phone, compared to 44 percent of whites and 48.5 percent of blacks. Higher-quality polls make efforts to reach cell-phone respondents, but many of the state polls this year have been mostly or entirely conducted via landline phone. And, pollsters say, the Hispanics with landlines are different than those without. They are more likely to be lower-income and less assimilated. So polling mostly Hispanics with landlines misses those voters. “You have to be doing cell phones, and a lot of them, because that’s a different group,” said Marist College pollster Lee Miringoff. Similarly, online polls only reflect a segment of the Hispanic population: the 84 percent that have internet access, a lower percentage than whites. Perhaps the most significant challenge for phone polling is language. Most of the high-quality polls employ bilingual interviews, but few others take on that extra expense — and there’s evidence those that do not are overestimating Trump’s vote share among Latinos. 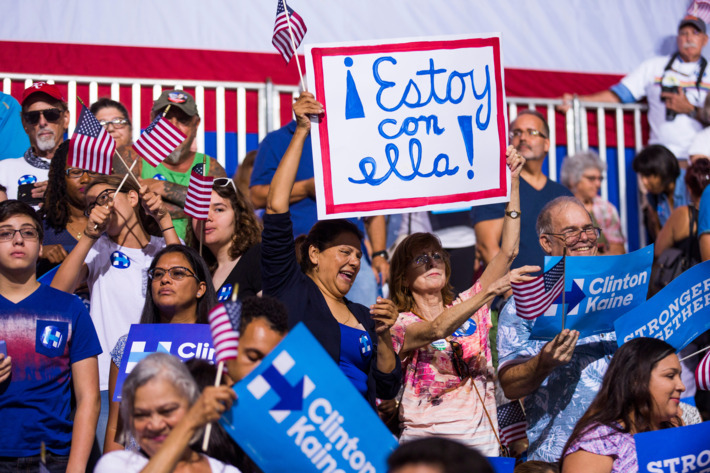 A Pew Research Center poll back in June showed that English-dominant Latinos were split relatively evenly: 48 percent for Clinton, and 41 percent for Trump. 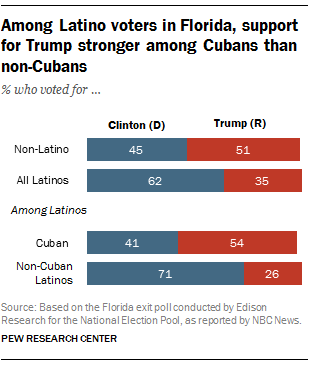 But Latino registered voters who are more proficient in Spanish or proficient in both Spanish and English were overwhelmingly for Clinton: 80 percent to 11 percent.